Trella is a scrub, just one of the thousands packed in like sardines in the lower levels who keep Inside clean. Because of her penchant for roaming the miles of pipes around Inside to steal moments of peace for herself, Trella is known as Queen of the Pipes. And her superior knowledge of getting around comes in handy when she inadvertently starts a rebellion against the ruling Upper family of Inside and their brutal Pop Cops. I don’t often get fangirly in my reviews, but OMG does this book make me giddy! I’ve been thinking about it non-stop since I finished it last night, and I am excited to share what made me enjoy it so (spoiler-free of course). This dystopia has a very sci-fi feel, especially when you realize that everyone Uppers and scrubs alike are essentially trapped within a very large, self-sustaining cube. It gets you spinning theories as to how they got there, why they’re there, and who controls “gateway” (the way out all scrubs are hoping really does exist). This cube setting was difficult for me to imagine initially. Trella does A LOT of crawling through the pipes from one sector to the next, so it made things much simpler once I drew a diagram (there’s a detailed description in the first 10 pages that starts you out) to help me imagine the distances and locations of everything. Speaking of Trella... She’s hard to like at first. She’s a stubborn, skeptical loner with a prickly, sarcastic personality. But as the story progresses, and she starts to let her guard down, your heart goes out to her as you realize it’s the divide and conquer techniques of the rulers that have molded and manipulated her (and everyone else). And boy are the rulers messed up. Seems they seized control from a more democratic initial leadership, and make sure nobody is in the know except for them. Anyone who doesn’t conform to their 10 hour on, ten hour off shifts, who asks questions, or forms noticeable friendships is fed to the Chomper. They have a strict one child policy for the Uppers and encourage pregnancy in scrubs (but take the children away). There’s a lot of food for thought here on eugenics, class warfare, and such but it’s worked so well into the plot and action, you never feel like you are getting an info dump. The plot kept me engaged throughout with its clever twists and turns. Along the way we get to know a great cast of characters, all of whom felt real to me (even the rat guy who was only given one page of face time). My absolute favorite character was Riley, the Upper boy who becomes Trella’s ally and romantic interest. He is so YUM, I want to create a button that says “Team Riley” (though there’s no other team to be on really in this book) and post in my sidebar right under my “Team Peeta” button. I loved his and Trella’s scenes together, and how his silly sweetness really draws her out. Ok, now that this is officially my longest review ever, I’ll wrap it up by saying the ending packed a punch. I thought it concludes this chapter of life Inside very nicely (the story arc feels complete, no cliffhanger), but still makes you eager to read further adventures when they come out. I just hope the next installment, OUTSIDE IN, due in 2011, has lots and lots of Riley! INSIDE OUT is due in paperback original on April 1st. Find out more about it on the author’s website. Thanks to the publisher, I have two finished copies of INSIDE OUT to give away to residents of the US and Canada. Just tell me in your comment what most appeals to you about INSIDE OUT and you're entered! I'd appreciate it too if you'd tweet a link or post a link in your sidebar, thanks! This contest will remain open for 2 weeks, until March 8th at 11:59 PM CST. What appeals to me most about this book is the science fiction part. I love entering fantasy worlds when reading books, and I love to see what the author has come up with. In sci-fi/fantasy, there are no rules, and that's my favorite part. Another thing that appeals to me is the main character starting a rebellion again the rulers. Sometimes I feel like doing that myself! I think a lot of teens can relate to that aspect. YAY. I'm so thrilled to hear you loved this one. Can't wait til it makes me giddy too! I think the whole livin' in a cube idea is interesting... and creepy. Definitely an unusual place to set everything. Plus, your review makes the main character sound like someone I'd like to read about. This sounds like my type of book! I love dystopian novels, and tough, feisty main characters always intrigue me (probably because I tend to be on the shy, wimpy side). Thanks for the review and for doing the giveaway! Okay, this sounds awesome. I definitely want to try for a copy! I think what appeals to me most about Inside Out is the whole "living in a cube" thing. It reminds me a bit of the Movie Cube? Except less Canadian. Maybe I should Lorin! I wish they'd have one in the book already, but they don't - at least not in the ARC. I've already seen two reviewers complain that they were disoriented, so it seems it might be something for the pub to think about. This sounds amazing! I've read so many positive reviews of this and her other series. I love dystopians! This one sounds great, and I've been wanting to read a Maria V Snyder book for a while now. This book has been on my list for awhile. I especially like how, based on your review, the world seems to have an almost UGLIES series feel to it. 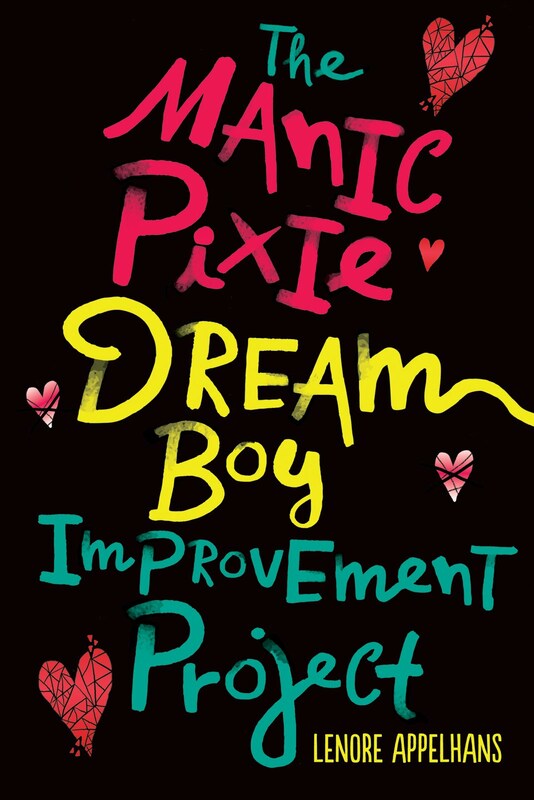 "I don’t often get fangirly in my reviews, but OMG does this book make me giddy! I’ve been thinking about it non-stop since I finished it last night, and I am excited to share what made me enjoy it so"
That! That makes me want to read it even more. The plot seems so unique and intriguing. It's always refreshing when an author does this. I love dystopian novels (for the most part), but I haven't read very many yet and this one sounds really good! Please enter me. I second Lorin's suggestion: you should post your diagram! What appeals to me most is that it's sci-fi dystopia. I've been on a dystopian kick lately, and I love a little science-y stuff thrown in. I like YA dystopians that are able to integrate serious modern philosophical issues with a great story--and Inside Out seems to do just that. I'd love to have it! You said the magic words dystopia and sci-fi, two of my favorite genres when done right. So this most certainly something that has caught my attention. OMIGOSH! I'm just so excited about INSIDE OUT because it's written by one of my favorite authors! (seriously go ask Khy xD). Sharon didn't really like the book much, but thankfully you did so my expectations was what I hoped it to be! My ears perked up with the 5 zombies alert!! I've tried to read this author before and gave up....maybe I should just read this one???? Oh how I have been craving this one. Not only do I LOVE Maria Snyder's previous books (Valek - need I say more? ), but I adore well-written and exciting dystopia. I've been loving your dystopia month celebration! Count me in! I really want to read this book for a few reasons. #1 DYSTOPIAN #2 new publisher doing this kind of book. This book reminds me a bit of The Declaration and parts of Cherry Heaven. Also sharonlovescats gave this a bad review and that has gotten me really curious. Do bad reviews ever get you more curious than good ones? FIVE zombies??? Wow. Now I'm gong to have to look into this even tho I'm not a big sci-fi person (I tend toward fantasy). Sounds good. I see no reason that you can' be Team Riley just because. Who wins out of Riley and Peeta? Megan - I saw Sharon's review and I have to wonder if we read the same book! Just shows you how different readers experiences can be! Nicole - Hmm...good question. I'm thinking Peeta still slightly edges out Riley, but that's just because I know him better. I am really looking forward to reading this book after devouring Synder's Study series. I'm a fan of her writing style and am looking forward to seeing how she does the sci-fi part. This sounds so great! I have such a long list of "must reads", adding this one to it now! I love books that stick with you afterwards :D This one sounds good! Wow! This book sounds mega-interesting, and I am most interested in hearing all about this self-sustaining cube. Please enter me in your giveaway, it looks to be a really impressive book! A "self-sustaining cube"? That's got my curiosity spinning! This sounds fantastic! I love science fiction dystopias anyway, but the claustrophobic nature of this cube settings sounds especially interesting. I'd love to try for a copy, and I'll be linking to this in my blog shortly. Thanks! This books sounds very original and I'm intrigued. I'd love to read it. I am so excited to read Inside Out! I first heard about it about a year ago when I was at a book signing with Maria. She is so nice and I love all her books! The descriptions in her books are amazing and I can't wait to see what world she has created this time! I really like dystopian fiction and like the spin this seems to have! Would love to win and read it! The fact that you love it. please count me in for the giveaway. i love sci-fi/fantasy books since i read the hunger games and the fact that this one is, it became a must read for me. i also like heroines that are tough and strong and just a bit unlikable and trella sounds like one. I am so incredibly anxious for this book. Back in November, my book club got Maria to come to town for a few events, and she was telling us about this over dinner; she said dystopia and I was immediately hooked. I'm a huge fan of hers, anyway (I have everything by her, signed.) I need this in my life! And I'm super glad to hear that it will likely live up to my expectations. Great review! You sound incredibly excited about this book and that's enough for me. I trust your judgement and besides, I love dystopian stories. 2.) Let's be a little 13 year old girl here. The guys sound fabulous. I will go and tweet about it now! I'm intrigued that you drew a diagram of the pipes to keep things straight! and I always like some good dystopian fiction, although I haven't read a lot in a while. Is it YA fic? I LOVE Maria V. Snyder's other books, I have read all of the study series and the spy series and am DYING to read this book! I am most interested to see how Snyder will handle a sci-fi book, and I am sure it will be FABULOUS! I am really looking forward to this one and the concept is so cool! Thanks bunches for the contest! I think it appeals to me because it is a dystopian. They are so interesting and unique. I'm a huge Maria V Snyder fan (she went to my high school! ), and I can't wait to read Inside Out -- so glad you loved it! What most appeals to me is to meet Maria's newest MC, especially since Yelena and Opal were such different characters! Linked in First Novels Club sidebar because it's such a wonderful contest! The author appeals most to me! I loved the "Study" books! I'm completely into dystopia right now and this one sounds like it would give a different take on that whole genre. I also like seeing what it has to say about our world now and maybe how that affects the world of the book. I have begun reading it and I must say I was surprised thinking I must be the only one super excited about the book. There were so many so so reviews for Inside Out. Please don't enter me I already ave the book for review. I'm new to dystopian books and so far, none I've read have disappointed me! 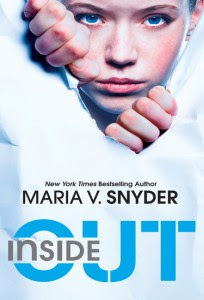 I love every different experience you find in these books, and I'm really sure Inside Out will not disappoint too, thanks to your amazing review! It makes me want to read it so much! :) Thanks for this giveaway and I really really hope I win! Everything about this book looks awesome-I've loved everything Maria Snyder has written, the color is gorgeous, and I've seen several enthusiastic reviews on various book blogs! I cannot wait to read this; please enter me in the giveaway! Can the simple fact that it's written by Maria Snyder be enough? Didn't even know she had a non-Sitia book coming out! Well first of all, I love anything Maria V. Snyder writes, so obviously that makes this book very appealing! Second, the world sounds so fascinating - I love the premise! On a more related note, I'm really looking forward to this book, though hesitant. I wasn't sure how well it would work, but you've reassured most of my doubts! H- Is that a good sigh? Or a bad sigh because you are team Gale? Ooooh! A 5/5?! I must read this one!!! This sounds fabulous! What most appeals to me is that it's dystopian. I love dystopian books. The cube! The pipes! These things make me want to read the book. I love Sci-Fi, strong characters and the knowledge of a sequel. Yeah! And I linked this to my sidebar for you! Oooh, you've officially made me super excited about this book with your review. Anyway, the aspect that appeals to me most about Inside Out is the scrubs because I'm curious to see the rebellion along with how they got to the pipes. It appeals to me because I LOVED Maria's Poison and Glass Series. Also I'm really into the Dystopian Novels right now. I like the premise it sounds good and its dystopian fiction. Also its written by Maria V. Synder. Even though I havent read any of her books before, I heard wonderful things about them so am interested in possibly reading her new book. I've been wanting to read this book, and your review makes it sound fabulous! What appeals me the most about it is first the fact that it's dystopian, and then the part in your review where you mention the cube and how you had to make a plan of it; I'm really curious about that part and would love to read how it's used in the book! It's a dystopia by an author I've previously heard lots of good things about, and you gave it a rave review--what's not to like? It doesn't take much more than the word "dystopia" to get me hooked. Awesome review! What appeals to me most is the high praise from you! I value your opinion and enjoy your reviews. I've been reading more dystopian style books so this sounds really good. Thanks for your offer! This reminds me of my favorite YA sci-fi novel from childhood, H. M. Hoover's This Time of Darkness. She's the best author you've never heard of. I'm excited to read this one! Please count me in. I am loving dystopian novels as of late. What most appeals to me about the book is the unusual premise. I have read dystopians before but the story in this one sounds pretty unique. Plus you gave it a really good review. I've read Poison Study and loved it and am now reading Storm Glass. Snyder's books are dense but you feel like you are inside them! I love anything Dystopia and am always looking for new ones to add to my list! I love the whole underground/pipes element. You always hear, "We should just move underground." And I need to read a Maria V. Synder. I already read it from a tour book I'd love to own a copy! You already know I was not very pleased by the romance, Riley seemed just the perfect boring guy to me. Broken Man on the other hand, made me think at first that they had something and then well.. riley appeared :( Anyhow, I really di enjoy the book, it's hard to put down. Loved Trella! I think I'm most excited about the 'sci-fi' feel you talk about in this book. When I read the words dystopian and pipes, I definitely thought of steampunk and space - two things I love. I'll be looking forward to reading this one! I'm also adding this to my blog sidebar. I've spent the past two weekends engrossed in Poison Study and then Magic Study, and after I get and read a copy of Fire Study, I'm sure I'm going to be wanting more of Snyder's writing. What appeals to me most is that I'm on a dystopian kick, PLUS I've just finished reading Poison Study and need more Maria V. Snyder! What appeals to me most is the story--it sounds amazing, and I really like the cover. Plus it's by Maria V. Snyder, whose work I have really enjoyed in the past. I'm officially excited for this to come out (or to win). This must be good if it got 5 zombie chickens. This sounds a bit like a star trek episode where some people lived underground and the "better people" lived above ground. I would love to read this because it sounds like a sci-fi with character development. I've read both Maria Snyder's Poison and Glass series..so it'll be pretty interesting to read a different style from her. Plus, love love dystopian novels! Plus, Plus...It got 5 zombie chickens! I love dystopian science fiction! I also love strong female protagonists who go against the grain of what is expected to fight for what they believe to be right. What most appeals to me about this book, other than the whole 'living in a cube' thing (how does that work? ), is the class differences and struggles it deals with. I always like when the underdog rebels against the oppressor. Sounds like a good book to me, I am looking forward to reading it. Just the fact that it's a dystopian novel is enough for me to want to read it. Just want to read another great dystopian read! What do I find most appealing about this book? First off, I'm a huge fan of the dystopian genre. Also, I've read Maria V. Snyder's Study series and the first two books in the Glass series, and I quite like her writing style. So basically, a dystopian society created by Maria V. Snyder is pretty much a dream come true for me. Though, getting an ARC of Inside Out would be even better. "She’s a stubborn, skeptical loner with a prickly, sarcastic personality." While these character traits may have made it hard for you to like Trella, I will probably love her for them. I've read Maria V. Snyder's POISON STUDY and would love a chance to read INSIDE OUT! I've mentioned the giveaway in my sidebar: http://sandyshin.com. I haven't read much sci fi or Dystopian books! Would love to get the chance to read this! The fact that Maria V. Snyder wrote this book is what appeals most to me about it. I really love sci-fi and there just isn't much out there these days, especially YA sci-fi with female MCs so that's what appeals to me most. Really looking forward to reading this one! What appeals to me most about INSIDE OUT is that I love the author's YA fantasy and the idea of seeing what she can do with a different genre appeals to me. What appeals to me most about this novel is probably a mix of it being about a dystopia which almost always makes for an interesting novel but also the idea of her accidentally starting a rebellion. Come on, who wouldn't be curious? Add into it that there is a hierarchy of classes and you have all the ingredients needed for it to be just the kind of book I want to have a chance to get to read. Wonderful contest! I am so happy that I found it in time to enter!!! I'm currently looking for well-written compelling dystopia books. This one sounds amazing! Plus, sarcastic narrators I tend to enjoy & I'd love to see if Trella is funny sarcastic or too-doom-and-gloom sarcastic for my tastes. I like she starts a rebellion without trying. I also like that it has a dystopian theme. Please enter me. I would really love to win this book. I love books that create a new world to ponder & this book seems to do this. I've been attracted to these kinds of books since I was very young & read "The Hobbit" for the first time. Oh, I need to read more stories like this! The characters seem awesome! And with 5 zombie chickens (love that!) I guess I cant go wrong! MARIE V SNYDER is the appeal to this book! Her other novels are all amazing, I'll read anything she writes. A master of words :) Love her, plus I love dystopian. What could be better? What appeals to me most is the character: Trella. She sounds a lot like me because "she’s a stubborn, skeptical loner with a prickly, sarcastic personality." Yep, that sounds a bit like me! We'd probably get along nicely. CONTEST CLOSED. I will notify the winners shortly.